It's a blurry line that divides the darkness and the light. Zombie cats often live in the darkness even when the light of future possibilites are right before them. This zombie cat is ready to move into the light but stops short and looks back at the darkness, listening to the comforting familiar sounds that beckon it to stay a while longer. 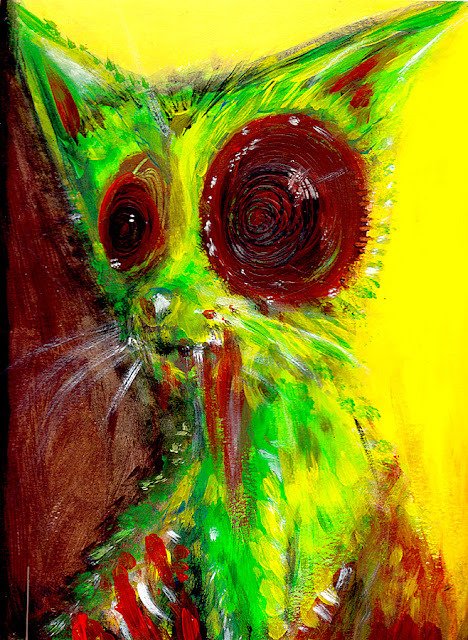 This is a mixed media zombie cat painted on 300lb cold pressed watercolor paper. $150 - includes trackable shipping and a bunch of goodies. Available in my store.